Daniel Hobson's enhanced inauthenticity skills have helped him develop an office rep as quiet, but a good listener. 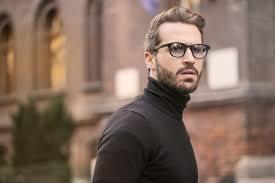 After being told he needed to work on his people skills if he hoped to advance in his career as a data administrator, introverted Daniel Hobson of New York City set his mind to improving his ability to feign interest in the mundane details of his coworkers' lives. "It wasn't easy at first," said Daniel, "and I've still got a long way to go, but I can convincingly fake it much better now." In his honing his abilty to be inauthentic, Daniel says that he's found a few catchphrases particularly helpful. "Among other things," said Daniel, "I've become a person who says, 'Really?' It's such a handy turn of phrase. And I like that it helps me cover when I haven't been paying attention, since it tends to generate a fair amount of repetition." And a terrific people-skill greeting, Daniel has found, is an effusive (for him), "Morning!" "It's so much more vibrant than my ordinary begrudging hello," said Daniel. "And it's less cumbersome than a full, 'Good morning,' although that one can be useful for giving the impression that I've actually engaged in conversation." The main drawback to the "morning" remarks, is, of course, their time-sensitivity. "Honestly, though, I've even used them a time or two in the afternoon, and no one called me on it," said Daniel. "I find you can usually get away with it." According to Daniel, his enhanced disingenuous people skills have gone a long way toward improving his social reputation in the office. "People used to call me unfriendly and standoffish, but now I'm known as quiet, but a good listener," he said. "I think I've found my sweet spot."